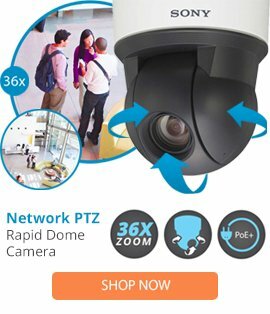 Available with fixed camera bracket, MCL - 7.5"
The IRHP75CF is an IP network ready vandal resistant 7” indoor dome security housing from Videolarm which is designed to provide users with a quality camera protection solution when used in a variety of installations. The IRHP75CF dome housing comes suitable for use in large environments including bus terminals, airports, stadiums, parking decks, warehouses, schools, and correctional facilities, and features a rugged aluminium construction, pendant mounting, a clear polycarbonate dome, plus a .22 caliber bullet resistance. The IRHP75CF dome housing also features a BNC connector, a 0.125” cast aluminium construction top, a 7.5” max camera length, plus a compact size. This camera housing can be used in high violence and crime areas, and is designed to be easily setup for fast operation. 14.7 x 8.2 x 8.2"